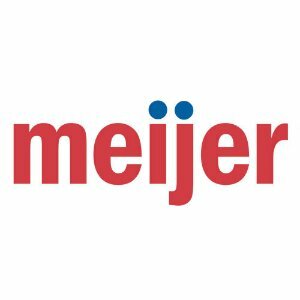 Meijer Black Friday 2016 Ad Posted. Shop starts from Thursday,11/24 7am. Meijer Thanksgiving, Black Friday and Saturday 2015 Ad Posted. Doors Opens at 6AM(EST) on Thursday, 11/26. In-store only. 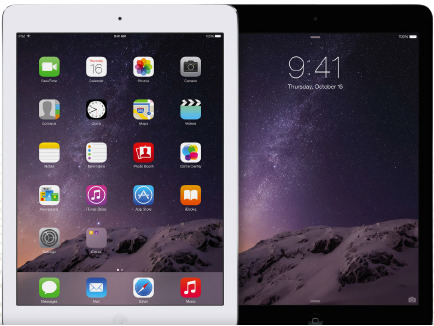 meijer offers the $20 off any iPad purchase.Plus, get $75 meijer credit on your next shopping trip. Even better, mperks members (free to apply) get 5% off purchase. Expired 2014 Black Friday Ad/Flyer Meijer Holiday Sale Ad Released! Meijer released its Holiday Sale Ad. Doors Opens at 6am on Thursday, 11/27. 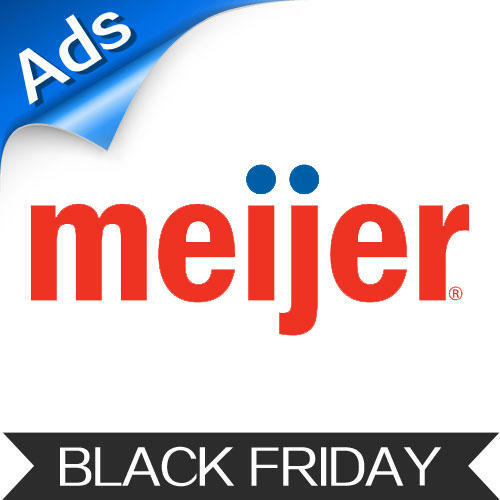 Expired 2014 Black Friday Ad/Flyer Meijer Black Friday Ad Released! Meijer has released its 2014 Black Friday Ad. Doors Opens at 6am on Wednesday, 11/28. 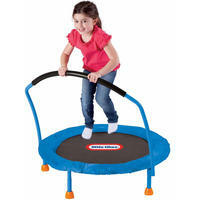 Meijer offers the Little Tikes 3-Foot Trampoline for $29.99. 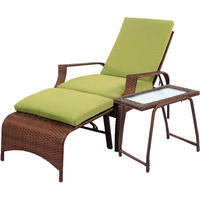 Meijer offers the Logan 3-Piece Outdoor Patio Wicker Chair Set in Green for $139.99. Meijer offers Zon Yoga Kit for $12.97. 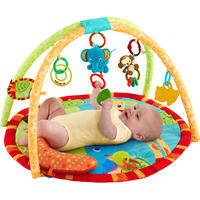 Meijer offers the Bright Stars Safari Tales Activity Gym for $19.99 with free shipping. 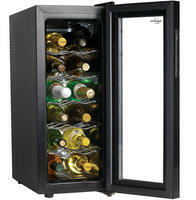 Meijer offers the Koolatron 12-Bottle Wine Cellar for $64.99 with free shipping. 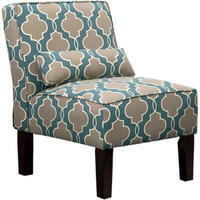 Meijer offers the Ludington Upholstered Accent Slipper Chair - Whimsical for $49.99 with free shipping. 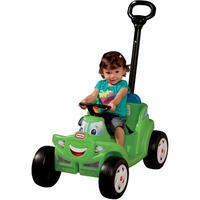 Meijer offers the Little Tikes 2-in-1 Cozy Roadster for $22.97. Free shipping with In-Store pickup. Meijer offers the Power Wheels Thomas and Friends Thomas with Track Battery-Operated Ride On for $79.99 + $13.99 shipping. Amazon sells it for $119.97, with excellent reviews. Features: up to 1 mph speed on the included track, or up to 2 mph off the track. 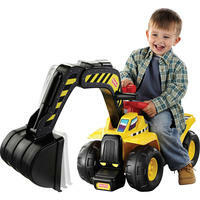 Meijer offers the Fisher-Price Big Action Dig N Ride Excavator Ride On for $24.99. 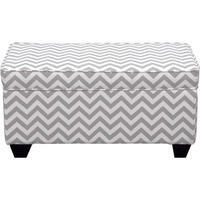 Today only (4/5), Meijer offers the Carson Upholstered Storage Bench Ottoman for $45 via code MP4445. Meijer offers the Bright Stars Safari Tales Activity Gym for $19.99 with free store pick up. 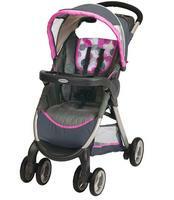 Meijer offers the Graco FastAction Fold Classic Connect Stroller for $59.97 with free shipping to store. 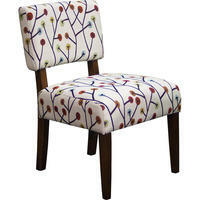 Meijer offers the Carson Upholstered Accent Slipper Chair( Luca Teal Geometric or Pink Santa Maria Floralfor) $84.99. Meijer offers Bright Stars Safari Tales Activity Gym for $21.99 with free shipping. 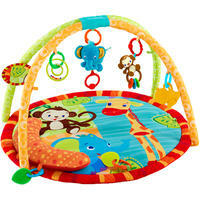 The Safari Tales Activity Play Gym will entertain baby with bright colors and engaging jungle-style activities. For ages birth and up.